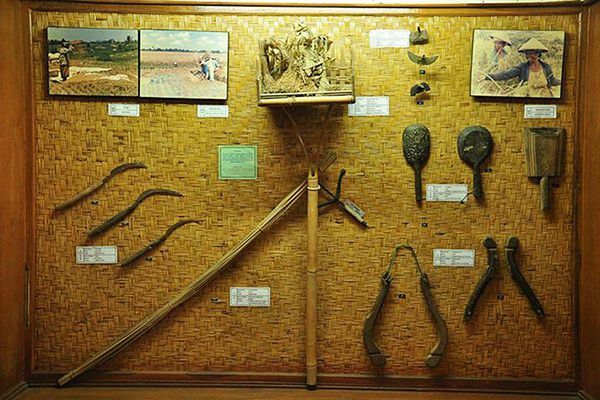 Subak Museum is a museum exhibit and displays the collection of agriculture/farming tools and traditional irrigation system of Bali called Subak. Subak Museum is also becoming one of the most visited tourist destination for the educational tour by students or tourists both domestic and foreign tourists in the center of Tabanan. Subak Museum Sanggulan Tabanan is located in the village of Banjar Anyar, sub-district of Kediri, Tabanan Regency, Bali Indonesia. Distance from the city of Denpasar is approximately 21 kilometers or about 47 minutes. The history of the Subak Museum is originated from an idea initiated by I Gusti Ketut Kaler on August 17, 1975, which aims to preserve the traditional institution of Subak as the nation's cultural heritage, and to introduce to young generation and tourists about the traditional irrigation system that is unique in Bali. I Gusti Ketut Kaler is an expert in custom and religion, at the time was working at the Regional Office of the Department of Religion of Bali. The idea was realized in the form of "Heritage Subak Museum" which was later renamed as "Subak Museum". Subak Museum was inaugurated on October 13, 1981, by the Governor of Bali, Prof. Dr. Ida Bagus Mantra. 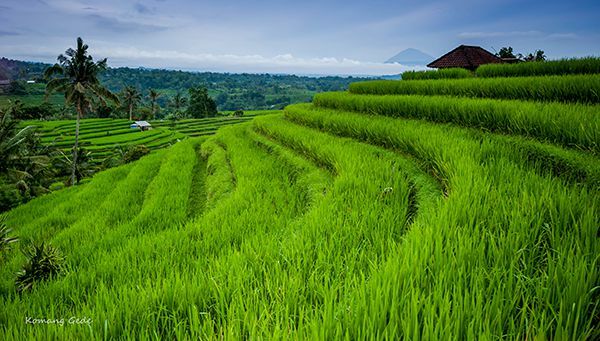 Tabanan has the most extensive rice fields in the province of Bali so it is often dubbed as the rice granary of Bali. The number of Subak organizations in Tabanan is the most in comparison with other districts on the island of Bali. Subak is an organization owned and operated by the farmers on Bali island that especially manages water control or watering systems/irrigation of rice paddy fields traditionally, the presence of Subak is a manifestation of the philosophy/concept of Tri Hita Karana. Parahyangan is a balanced connection between man and God. Pawongan is a harmonious connection between man and his neighbor. Palemahan is the balanced relationship between human and nature and the environment. The term "Subak" is a term which comes from the Balinese language, the word was very first found in the inscription of Pandak Bandung which has numbers 1072 AD. The word "Subak" represents a unique social and religious institutions, features its own controls, democratic connections of farmers in deciding the usage of irrigation water for growing rice. Implementation of Subak irrigation systems can be seen in almost all rice fields in Bali, and the most visited place is in tourist attraction Jatiluwih rice terraces as a part of the Landscape Subak of Catur Angga Batukaru (it's one of the sites in Bali designated by UNESCO as world cultural heritage). Read more about Subak: Bali Traditional Water Management System (irrigation). Bali Subak Museum is divided into two separate parts which include enclosed museum and open-air museum. At the enclosed museum consists of two main buildings has a function as an information center and exhibition hall as well as audio-visual room, study room facilities, library, office and miniature of ancient Subak irrigation system. while the open-air museum is an expanse of rice fields using Subak irrigation method. In the both main buildings, visitors could see, know and learn everything related to agriculture and traditional equipment commonly in use in agriculture in Bali such as cutlery and rice pounder, tools for plowing fields, etc. Here visitors get complete information about how is the Subak irrigation system as well as the processing of paddy from start to finish. Such as how to open paddy fields, sharing the water, making the water tunnel, measuring the water lines as well as complete the process of religious rituals. Subak museum opening hours are Monday - Thursday & Saturday from 7:30 am to 16:30 pm, and Friday from 7:30 am until 13:00 noon. While Sundays and public holidays Subak Museum is closed. For those of you who are on holiday in Bali and want to visit the Museum Subak please refer to the schedule of opening and closing hours above. The location of Subak Museum is located in the village of Banjar Anyar, sun-district of Kediri, Tabanan, Bali Indonesia. Distance from the city of Denpasar approximately 21 kilometers or about 47 minutes by car.